Although the global economy and the country is still difficult, but Savills Vietnam – leading property consulting company are still planning to expand operations nationwide. Currently, Savills is recruiting 400 additional staff for most departments such as sales agents, leasing, retail, market research, investment consulting and evaluation. With the number of 380 employees currently in the country, Savills Vietnam bring professionals work-environment, with opportunities to join training, training development team more powerful. In the last year, Savills as agent sole product of the largest apartment projects in Vietnam as: Keangnam Hanoi Landmark Tower, Hyatt Regency Da Nang, Indochina Plaza Hanoi, Mipec Tower, and Ocean Villas Da Nang. In addition, Savills Vietnam also has been successful in is sole agent for the lease of commercial buildings such as Sun City, Asia Tower and Pacific Place in Hanoi, and buildings as CentrePoint, Sailing Tower and The Crescent at Hochiminh City. 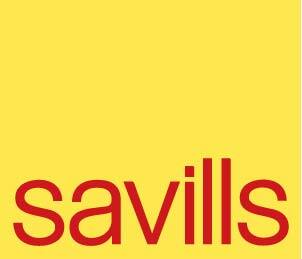 Mr. Brett Ashton, Managing Director of Savills Vietnam, said, “Plans to expand this business demonstrates the long term commitment and vision of Savills in Vietnam and Savills will maintain, maintain position as a leading provider of real estate.